Thomas C. Quick/Quick & Reilly, Inc.
As retired vice chairman of Quick & Reilly / Fleet Securities, Inc., Thomas Quick was very dedicated to both his career in finance and many charitable organizations. In 1998, Quick & Reilly became part of Fleet, now Bank of America. Previously, he was the president and COO of The Quick & Reilly Group, Inc., the New York Stock Exchange-listed holding company for the firm’s securities businesses. 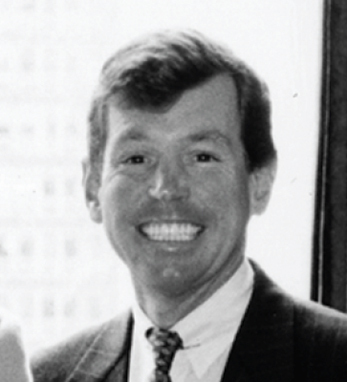 From 1985 to 1996 he was President of Quick & Reilly, Inc., the leading national discount brokerage firm. Quick received a bachelor’s degree in business from Fairfield University in 1977. He now serves as a trustee of Cold Spring Harbor Laboratories, St. Jude Children’s Research Hospital in Memphis, TN, The National Corporate Theatre Fund and Fairfield University. He is a member of the Board of Directors of The Inner-City Scholarship Foundation and a member of it’s Endowment Fund. Quick is a third generation Irish American.